The main – all new! – Knizia Games website can be found here. Convivium and Knizia Games have a long shared history, since Reiner first moved to the UK in the mid 1990’s. 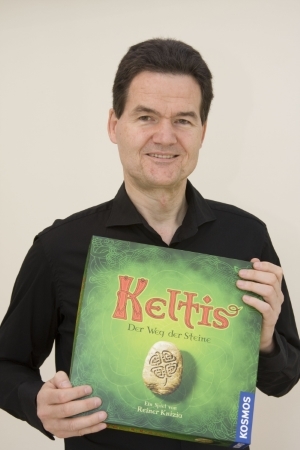 At least three game books authored by Reiner Knizia have been published under the Convivium imprint (well two-and-a-half to be strictly accurate). The Kniziathon tournaments began at Convivium-organised games conventions, and have been played around the world since then. So these pages will (we hope) be the jumping-off point for joint projects, and anything too abstruse for Reiner to consider putting up on the Knizia Games website.